The individual application was introduced to Turkish legal system through the constitutional amendment of 2010. As of 23.9.2012, the Constitutional Court started to receive and adjudicate applications alleging violation of fundamental rights and freedoms that are under joint protection of the Constitution and Human Rights Convention. The law numbered 6216 also determined the beginning of temporal jurisdiction of the Constitutional Court with respect to individual applications as 23.9.2012. In other words, the Court may examine individual applications only against final acts or decisions that are finalized after 23.9.2012. Since then, the Court has dealt with the issue of its jurisdiction ratione temporis in many cases. This study aims to explore temporal jurisdiction of the Court through its case-law and provide a practical guide to both applicants and practitioners. It first examines the issue under headings of rights, namely, right to liberty and security, right to property and right to fair trial. It then explores the issue through procedural matters. The study concludes with a brief assessment of the Court’s case-law on the topic. Başvuru, Anayasa Mahkemesi Yayınları, Ankara. Sözleşmesi Hukuku, Avrupa Konseyi, 1. Baskı, Ankara. ISNAD AYDIN, Mücahit . "BİREYSEL BAŞVURUDA ZAMAN BAKIMINDAN YETKİ". 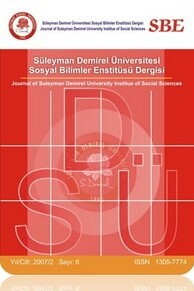 Süleyman Demirel Üniversitesi Sosyal Bilimler Enstitüsü Dergisi / 25 (December 2016): 283-303.